The Scots pine (Pinus sylvestris) was first brought to North America during the Colonial days, according to the U.S. Forest Service. The tree grows throughout the United States and southern Canada. Widely favored as a Christmas tree, the Scots pine is commercially grown at tree farms for the holiday season. The wood is favored as a source of pulpwood and sawlogs. The Scots pine is widely adaptable. It can thrive in regions with 70 inches of annual rainfall or as little as 8 inches. The tree has been known to survive freezing cold temperatures that plummet to minus-83 degrees F. in the Verkhoyansk Mountains of eastern Siberia, according to the U.S. Forest Service. The tree grows approximately 50 feet high with a spread of 35 feet. The bark appears a reddish color and peels easily. It is a favorite food of the porcupine, which can easily damage the Scots pine with its voracious eating. The tree is either male or female. The female trees' strobili appear purple and the males' is dark tan. Cones are approximately 1 1/2 inches to 2 1/2 inches long. Plant the Scots pine in full sunlight. The tree prefers moist soil that is well-draining. It will not tolerate an extended drought. A soil pH of 5.0 to 7.5 is ideal. Avoid planting in a flood zone because the Scots pine does not tolerate standing water around its root system for long. 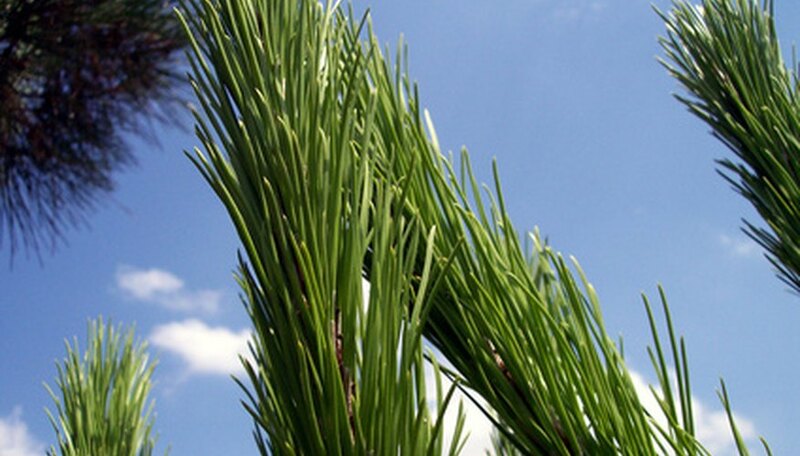 The Scots pine begins to produce seeds between 5 to 15 years of age. Viable seeds are produced even after the tree tops 200 years. Every three to six years, the tree produces an abundant crop of seeds that are viable. Other years, the crop is severely limited. The seeds retain viability for up to 15 years. Seed dispersal begins in October and continues through December. Germination occurs immediately and the seeds require no cold stratification as so many varieties of conifers often require. Seedlings are fast-growing and average 2 1/2 feet per year. Not all Scots pine trees develop a taproot. The soil conditions appear to affect root production. In sandy soils, the Scots pine often grows a 9-foot taproot. In other locations, the roots grow laterally and then aim downward acting as a taproot.